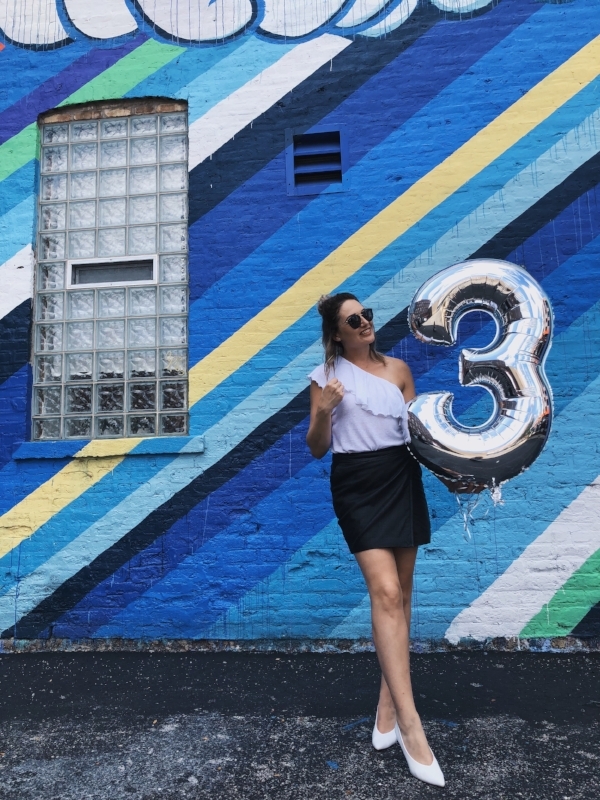 Wow, has it really been 3 years since I've started Style Your Passion blog? I feel extremely grateful for this opportunity to do what I love and share it with you all. Thank you for being a part of this fantastic journey with me. As you may have noticed, I haven't posted in a couple of months. My time and focus is all on studying and marathon training. I passed the state part of my test but I have to re-take the national part, in order to become a licensed broker in Illinois. I am so so close. Putting Style your Passion in the back burner lately, has been very tough on me. I have huge plans for it one day and this is just what I needed to do in order to get where I want to be. Keep your fingers and toes crossed as I take on the test again soon! I've never been more determined and sure of the path in life I'm on right now. No matter the difficulties or what life throws at me, I will try as hard as I can to achieve my goals. Ready to take on real estate world and be the best I can be at it. These past 3 years have truly been incredible. Never in a million years I'd imagine to make so many great friendships in the blogger community. Hey, I didn't even expected I'd last this long! All the amazing readers who showed so much love and support the past 3 years have been the reason why I am still standing here! I couldn't have done it without so many of you. This is my official on the record big loving THANK YOU!! With all honesty I have to admit, it hasn't been easy. The past months my mind has been completely dry and I had no ideas about content for my blog. I guess we can say I hit the writers block. Finding the new normal won't be easy, since so much has changed and it will continue to. It doesn't mean bad changes, just things I have to approach differently form now on. I'm super optimistic that everything will work out the way it should be. It always does! The past year has taught me to be more patient and just content with what I have where I am. That is such a freeing feeling! I have to give all the props for my mom for taking all these photos for me. She even went down on her knees and get some good angles and she took some boomerangs as well! What a truper she is! And didn't these photos came out fabulous? Maybe I should hire my mom to be my full-time SYP photographer. 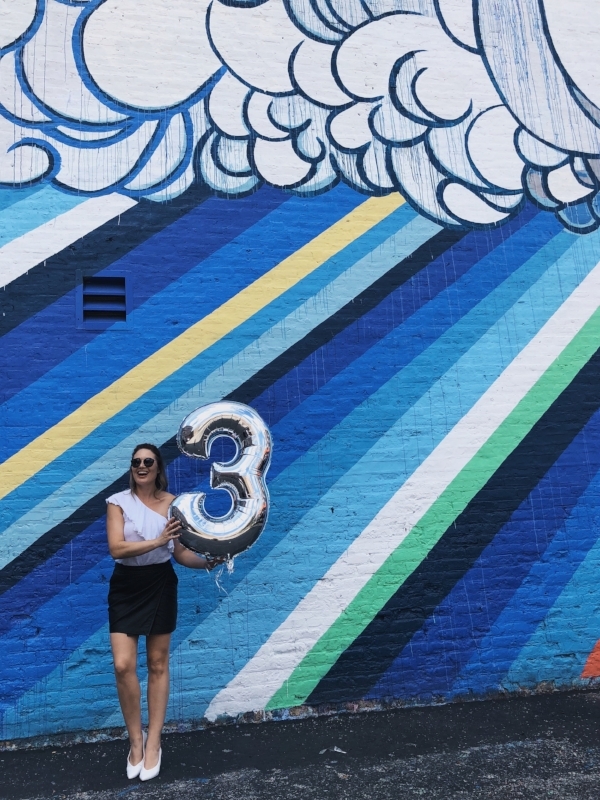 Ok, year 3 is in the books. Let's do this again my Passionistas. Feel free to always reach out to me with any questions or requests for my blog content. I can't do it all without you. PS. This year I am running my fourth Chicago Marathon and fundraising for a wonderful organization World Vision. World Vision provides more clean water than any nongovernment organization in the world, providing clean water to one new person every 10 seconds. They work to help communities lift themselves out of poverty for good by addressing issues around clean water, hunger, health, education, economic empowerment, and child protection. Please click the link below to find out more and donate. Thank you so much for your support. Click Here to Support My Marathon Fundraiser!